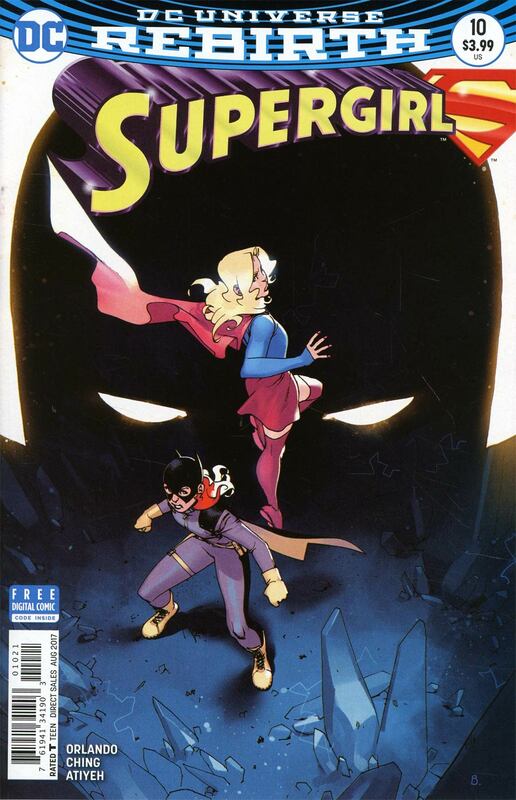 As Emerald Empress and Magog join forces with a sorceress named Selena, Ben Rubel, Batgirl and Supergirl are trying to find a way out of the Phantom Zone. Doctor Xa-Du, disguised as a ship captain, tricks them into thinking there is way out through Aethyropolis, a solid area of the Phantom Zone made of Ghost Carbon. In reality, Xa-Du needs their essence for his Ecto-Mail armor. Now the trio finds themselves doubly imprisoned as they are now in the insane criminal's dungeon. Ben, Batgirl and Supergirl will need to keep their wits about them if they are to escape Doctor Xa-Du. 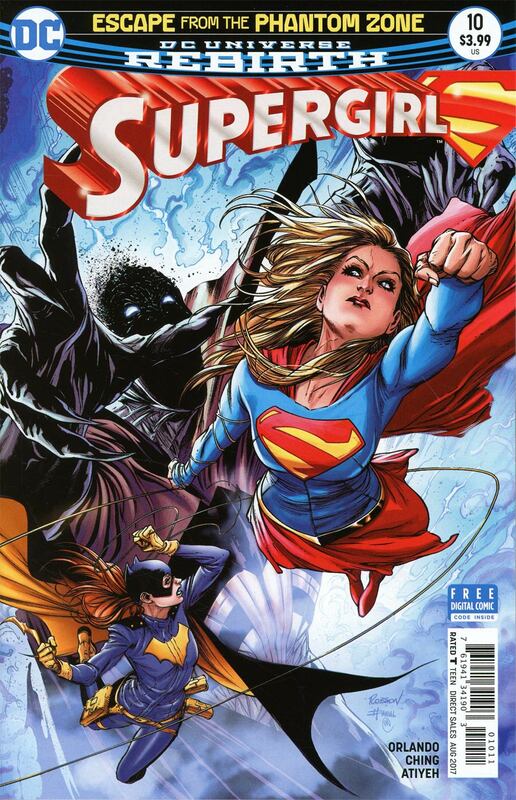 Supergirl, Batgirl and Ben escape their cell, fight some guards and search for Psi, who was taken in Batgirl Annual #1. She is Xa-Du's Aethyr Switch that will help him escape the Phantom Zone. Kara Zor-El's telepathic communication with Psi awakens her and her abilities, pleasing Xa-Du. However, he still wants Batgirl, Supergirl and Ben's energies for his Ecto-Mail armor in spite of having poisoned the Girl of Steel with envenomed claws. Psi is now enraged and has placed herself in a dragon form she created. Xa-Du pursues her while a dying Supergirl flies straight into the psionic beast's mouth. Will what the Maid of Might have in mind save her friends and get them out of the Phantom Zone? Will they be able to stop Doctor Xa-Du's evil schemes? Story - 5: There are elements of this issue that feel like they are inspired by Silver and Bronze Age DC Comics. This made the book more fun for me. That's not to say there aren't some dark moments. There are. However, they are blended well in a finely crafted story. Steve Orlando seems to have finally grasped Kara and those around her in her environment well. This title still can't replace its New 52 predecessor. Yet, it's really doing a good job following in its footsteps with this story arc so far. Art - 3: Art is still so-so in the normal looking characters front, but Ching's strength lies in Phantom Zoners and the ghosts or creatures Selena used in the opening scene. I find his style still doesn't work in certain points of the book, BUT if he were to do, say, a ghost story, it would be chilling. Cover Art - 3: The cover is better than last month's, but there's still room for improvement.